Born in London in 1959 to Jamaican parents, his early years were turbulent, seeing him shunted around a variety of children’s homes and foster families across England. 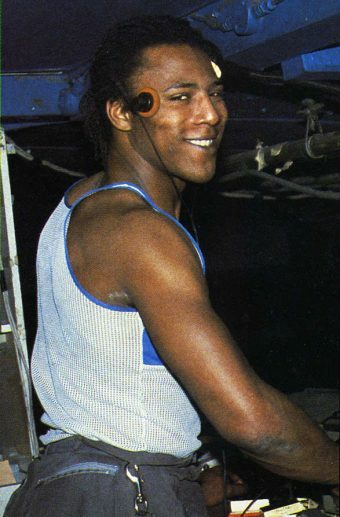 A prolific sportsman in his teens (he was on the books of Tottenham Hotspur and Charlton Athletic, whilst running for Haringey), he’d choose the night club over the football pitch / running track though, gaining a reputation as a dancer initially. Paul commenced his DJing career in 1979 at one of the most influential clubs of the era, Crackers in London’s Soho, where George Power, the venue’s trailblazing resident, spotted his potential and brought him from the dancefloor to behind the turntables. This was at the height of the Jazz-Funk era, and Crackers was right at the cutting-edge, a magnet for the mainly black dancers who headed into the West End from the city’s housing estates, to showcase their moves – ‘Boogie Boys’, as Power would refer to them over the microphone. Crackers regulars would include the likes of Norman Jay, Carl Cox, Fabio and Terry Farley, its influence continuing way beyond its 1981 closure. However, at the time, the ‘Soul Mafia’ DJ collective, whose most prominent members were Chris Hill, Froggy, Robbie Vincent (Radio London) and Greg Edwards (Capital Radio), and also included future Radio 1 dance presenters, Jeff Young and Pete Tong, hoovered up the bulk of the available media support, which, as a consequence, served to downplay the importance of Crackers – it’s legacy only fully appreciated in hindsight. 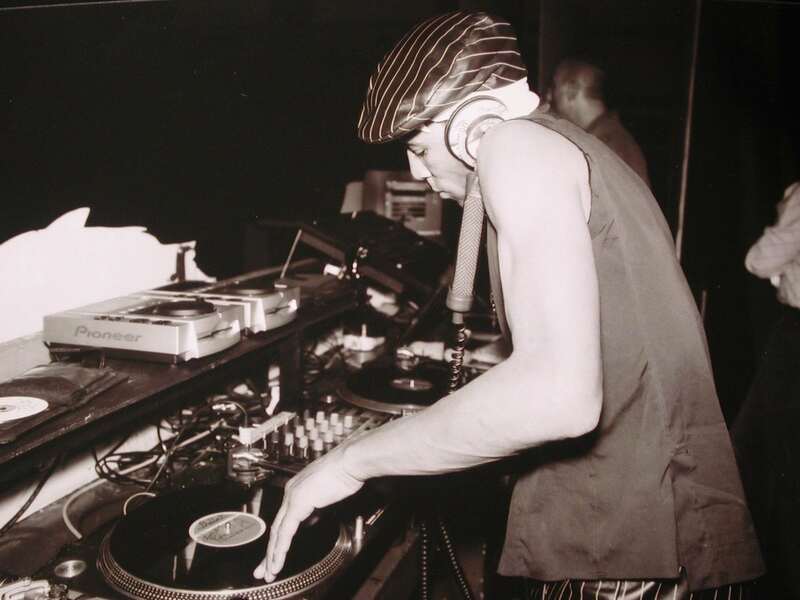 Paul’s interest in DJing had been kindled via the Reggae sound systems he’d see as a teen, his uncle’s included (he’d later team up, launching Trouble Funk Sound, named after the Washington D.C. band, a sound system with a more soulful agenda, and an inspiration for Soul II Soul, who would gain international fame in the late ‘80s). Having cut his teeth at ‘Crackers’, Paul followed Power to Camden in ‘82, where The Electric Ballroom became the capital’s pivotal black music venue as the Jazz-Funk era concluded and a new electronic direction fermented. heralding the emergence of New York Electro-Funk as the dominant music on the scene (also serving to weaken the grip of the Soul Mafia, who were reluctant to embrace the changes). 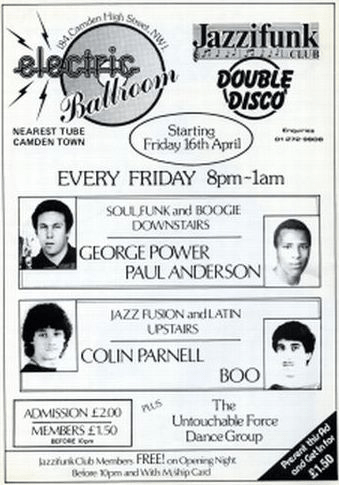 The Electric Ballroom led the way in London, with Paul very much at the helm – the music he and Power played would inspire the Boogie aspect of London’s retrospective Rare Groove scene a few years down the line, whilst the club, via its 2nd room, also became the major hub for the Jazz Dance scene, which survived the remnants of Jazz-Funk, bringing DJs like Paul Murphy and Gilles Peterson to the fore. Paul would also play alongside dancer/DJ mentor Trevor Shakes and Dez Parkes at Spats during the early-‘80s, whilst later in the decade ‘Trouble’s House’, held at Legends, was another significant residency (in 2000 he’d put together a mix CD of the same name for R2 Records), as was ‘Love’ at The Wag. A direct contemporary of mine, Paul was born just a handful of months before me. I first came across his name, as he no doubt would have come across mine, in the club pages of Blues & Soul magazine – then essential reading for DJs on the black music scene, both North and South. These 2 ‘halves’ of the country were very separate then, with little crossover, a big exception being the All-Dayers at Birmingham’s Powerhouse and Nottingham’s Rock City, where Paul, along with other London-based DJs like Paul Murphy, Tim Westwood and Cleveland Anderson, would regularly guest, on the bill alongside the leading DJs from the North and Midlands (categorised under the catch-all of North, as in North of Watford). He’d later tell me that he’d travelled up to my Tuesday night at Wigan Pier in the early ‘80s, whilst I’d been to Crackers a few times when I was visiting London – although we were from different parts of the country we were very much a part of the same scene. Along with George Power, he would be there at the start of London’s Kiss FM (inspired by the New York station of the same name), originally a pirate that went legit in 1990 – his Saturday night mix show, which ran for the next 8 years, becoming something of a pre-clubbing institution for Londoners, Paul undoubtedly one of the most influential DJs of the period. Running between 1992-2002, his midweek residency, ‘The Loft’ (no connection to David Mancuso’s NYC parties of the same name) at HQ in Camden, was yet another milestone – he described this, alongside his Saturday night Kiss mix show, as his best DJ experience. His guests would include US luminaries like Tony Humphries, Masters At Work, Loleatta Holloway, Leroy Burgess and Jocelyn Brown. With the new millennium, Paul would relocate to Madame JoJo’s in Soho for ‘Loft 2’. He’d hook up once again with Kiss FM originator Gordon Mac in 2011, presenting a weekly show on his Mi-Soul radio station, whilst his Bussey Building residency in Peckham over recent years provided a fitting club swansong. Paul was a pioneer, his place in British club culture assured. Unlike many other DJs at the time, he successfully moved away from the microphone-based approach, still dominant when he started out, to embrace mixing, helping popularise what was then a new approach to DJing in this country. Spanning Soul, Funk, Disco, Jazz-Funk, Electro, Boogie, House / Garage and beyond (not to mention his Reggae roots), Paul was a black music selector par excellence, whose impact on London’s dance music trajectory cannot be underestimated. Thank you Greg for writing such a fascinating and fitting tribute. I was fortunate to experience Trouble’s DJing at Second Base at Dingwalls in Camden in the early 90s.